As the original Gunflint Trail outfitter, the land we serve and the lakes we paddle are our passion. We know the area, we know the lakes, and we have everything you need to make your stay in the Boundary Waters Canoe Area Wilderness a memorable one. We offer a complete fleet of boats, canoes, and kayaks for rent, as well as gear rental, overnight lodging services, permit help, transportation to any entry point on the Gunflint Trail. We’re eager to offer helpful tips and adviceon fishing spots, scenic highlights, portages, and campsites. 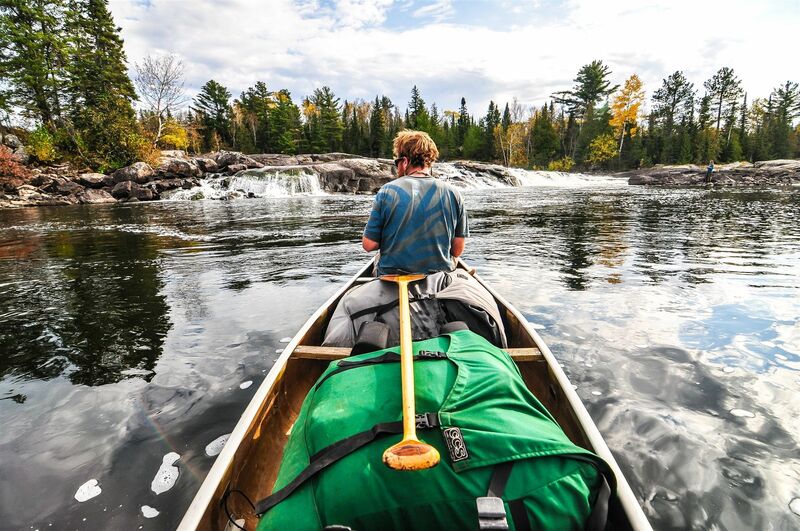 Clearwater Canoe Outfitters can also outfit you for your entire trip through the BWCA. You don’t have to worry about a thing: just get here, and we’ll take care of the rest! Where do you start? Use this simple form. Whether you are looking for a canoe, bunkhouse, completely outfitted trip or just a bit of information to help you get started, our Outfitting Request Form is a great place to start. Feel free to fill in as much or as little as you like and we can help you get started in planning your next Boundary Waters adventure. You can always reach us at info@clearwaterhistoriclodge.com or by phoning us at 1-800-527-0554. Need more information right away? For more tons of helpful tips on planning a BWCA Canoe Trip with our experts, download our outfitting-planning-guide.